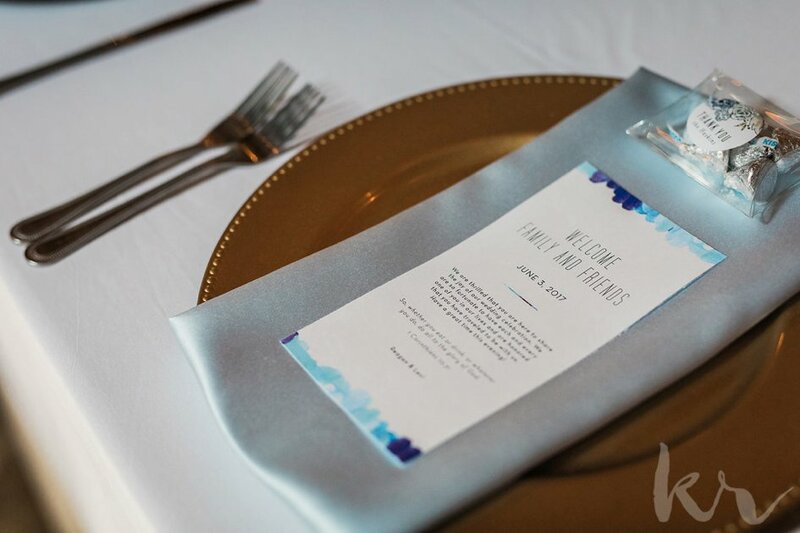 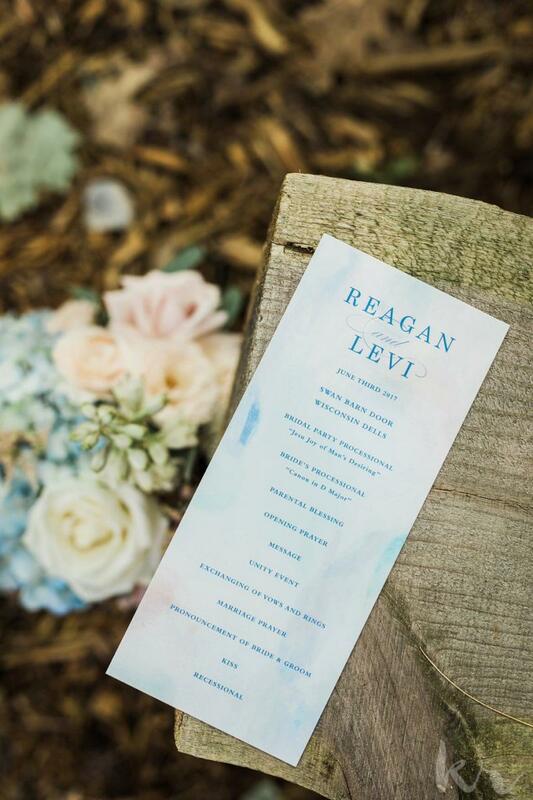 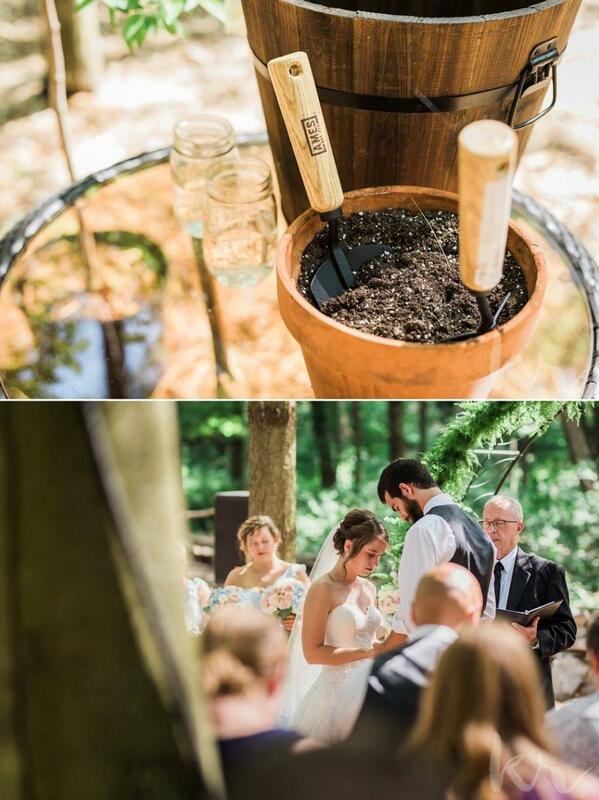 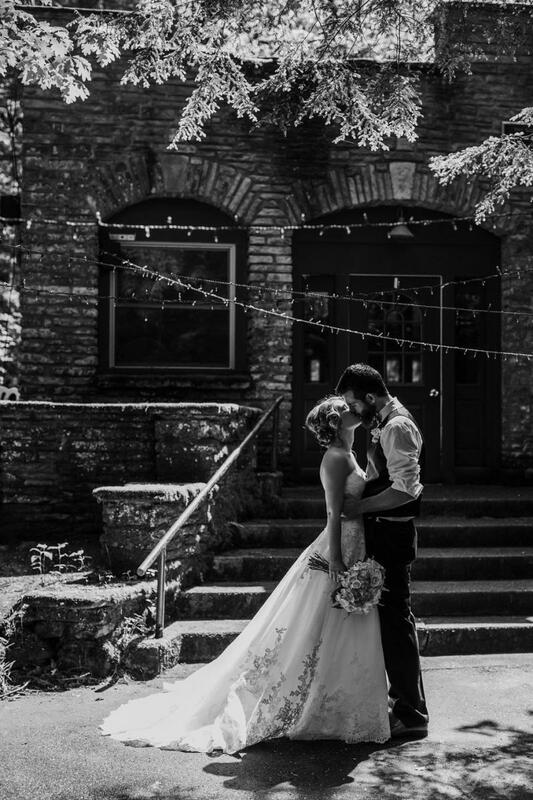 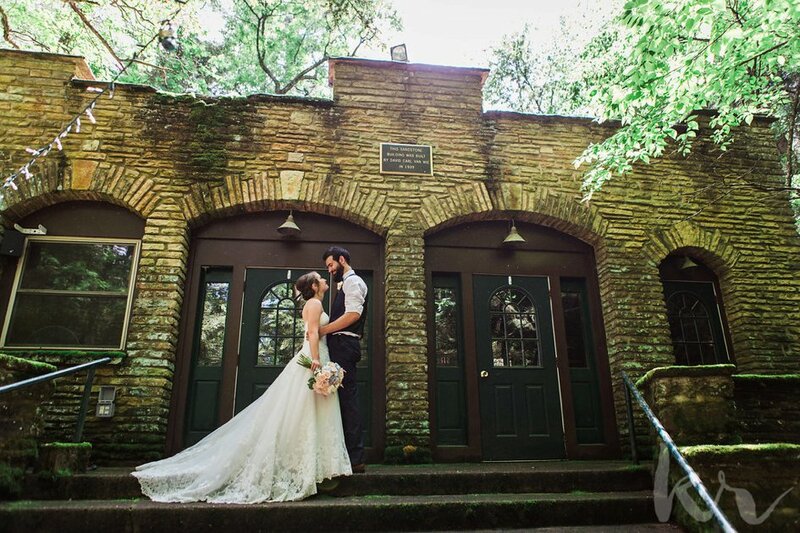 Reagan and Levi’s wedding reflected where it all began: summer camp. 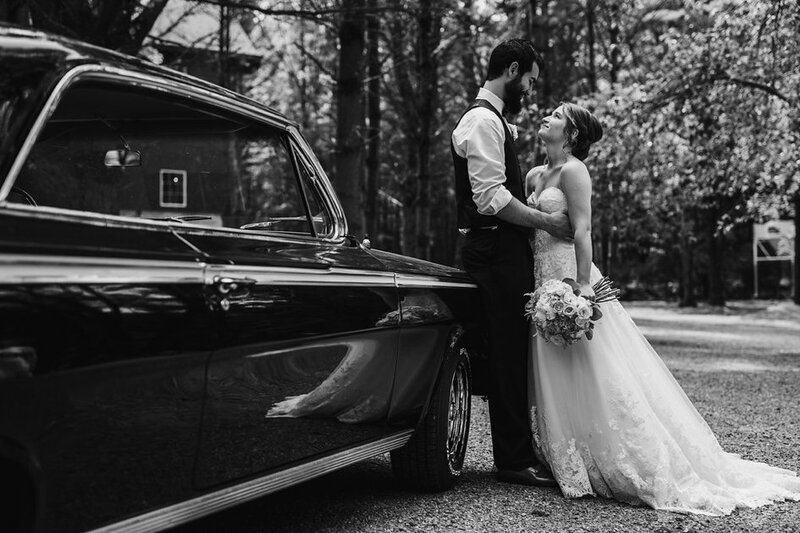 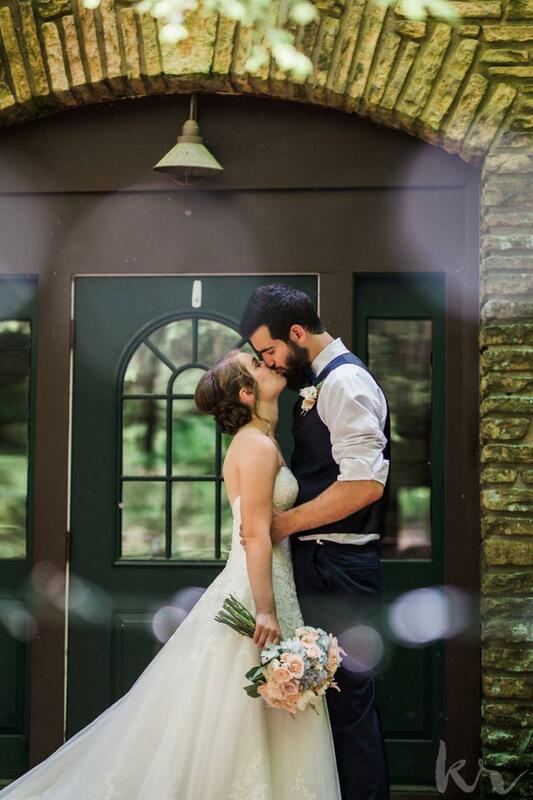 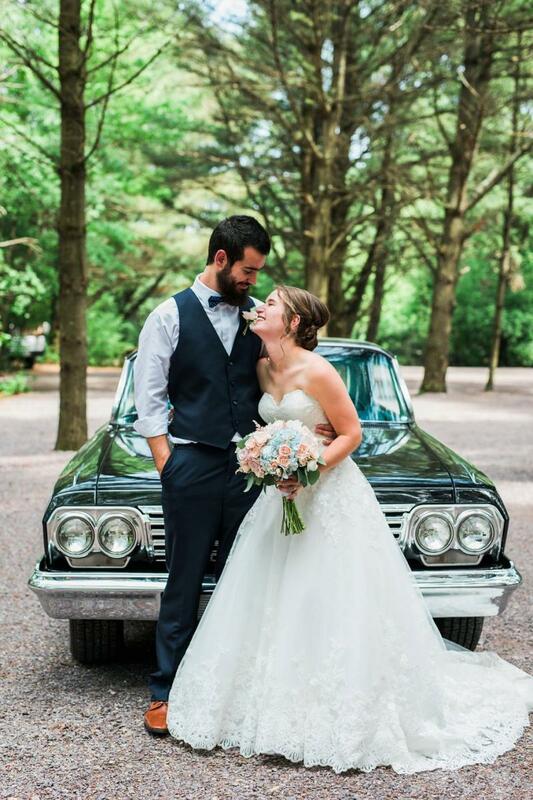 While the forecast called for thunderstorms, the bride and groom were adamant that the day would be perfect no matter what. 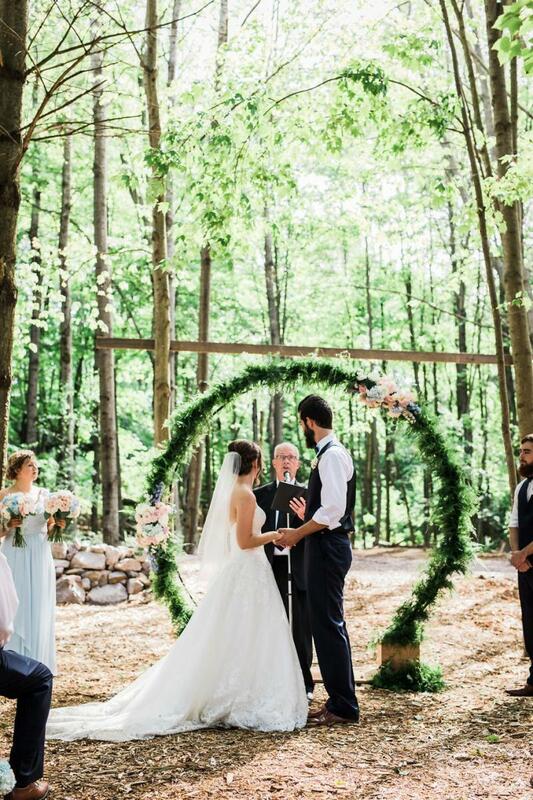 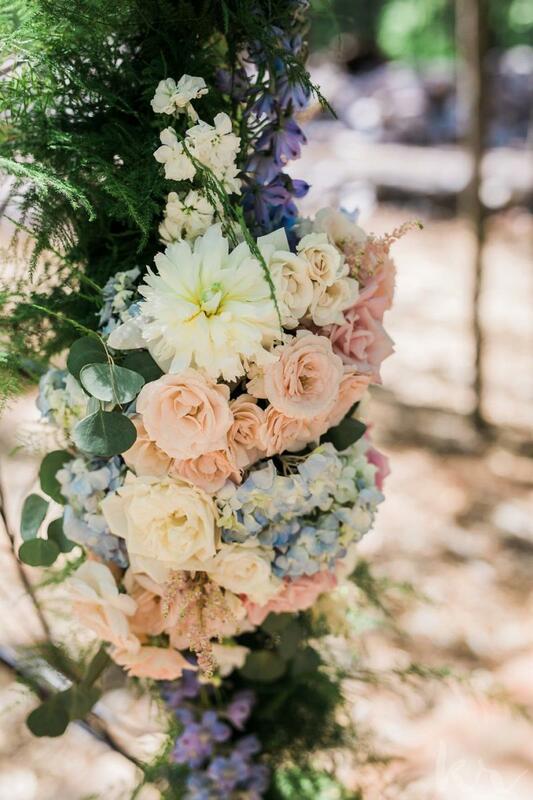 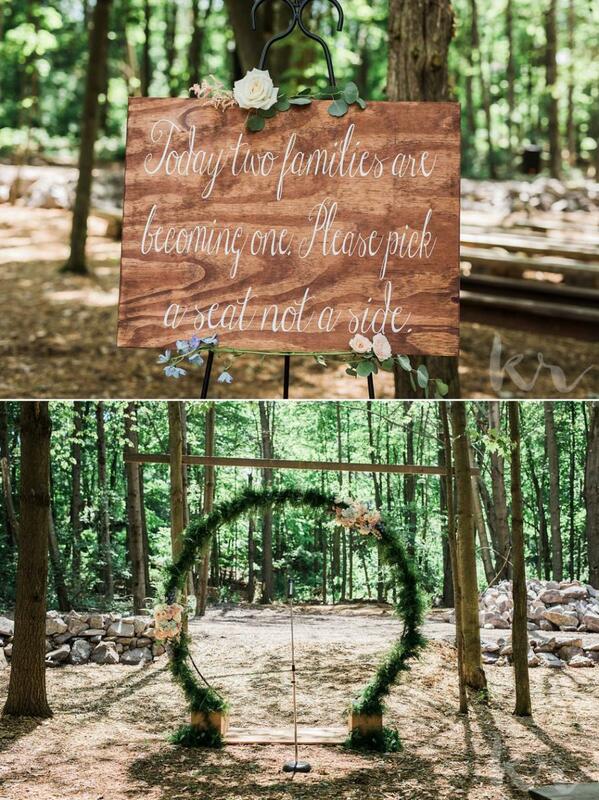 The couple was married in the woods in front of a floral-adorned hoop instead of a traditional arch. 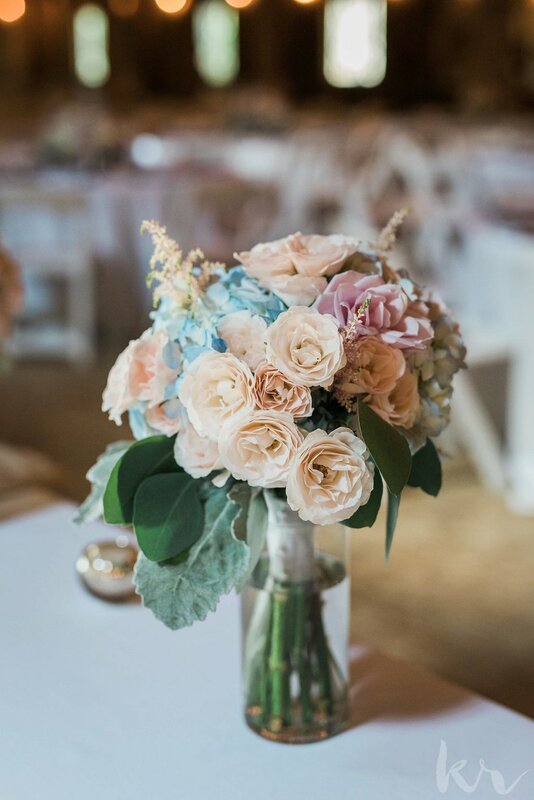 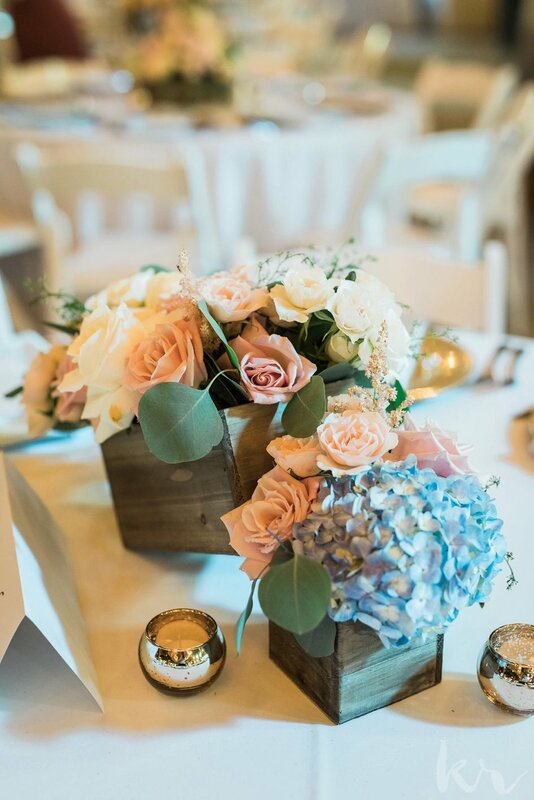 Reagan picked colors that reflected her feminine and classic personality: blush, dusty blue, and touches of gold and wooden accents. 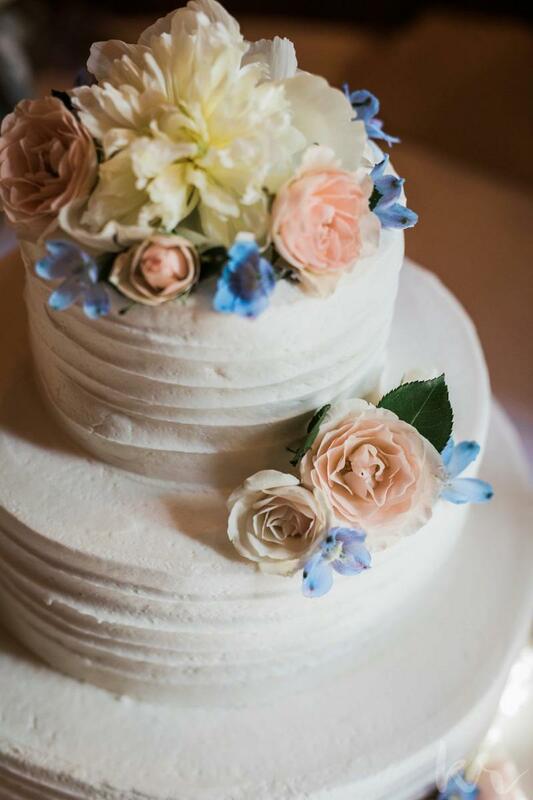 Roses were artfully arranged in the bride's bouquet, in the table centerpieces and even on the three-tiered cake. 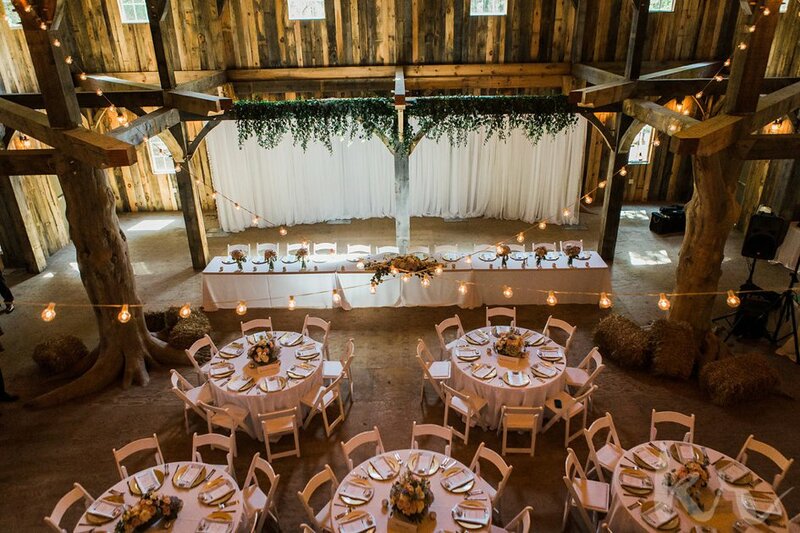 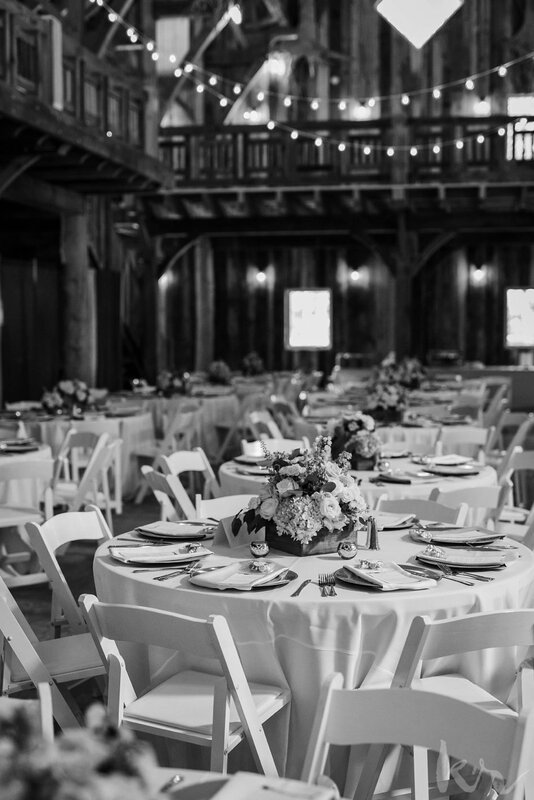 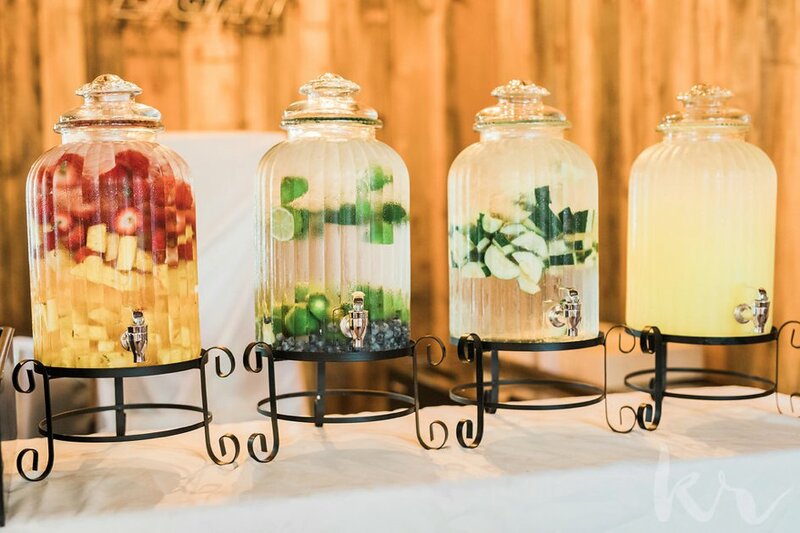 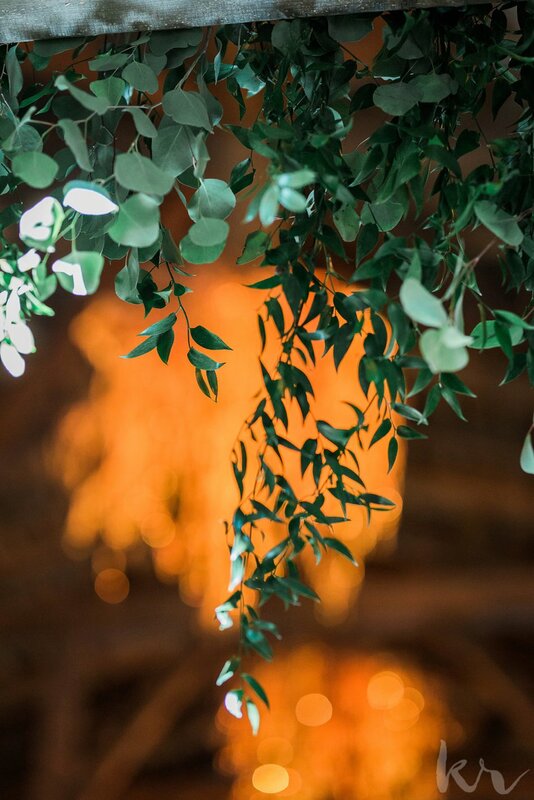 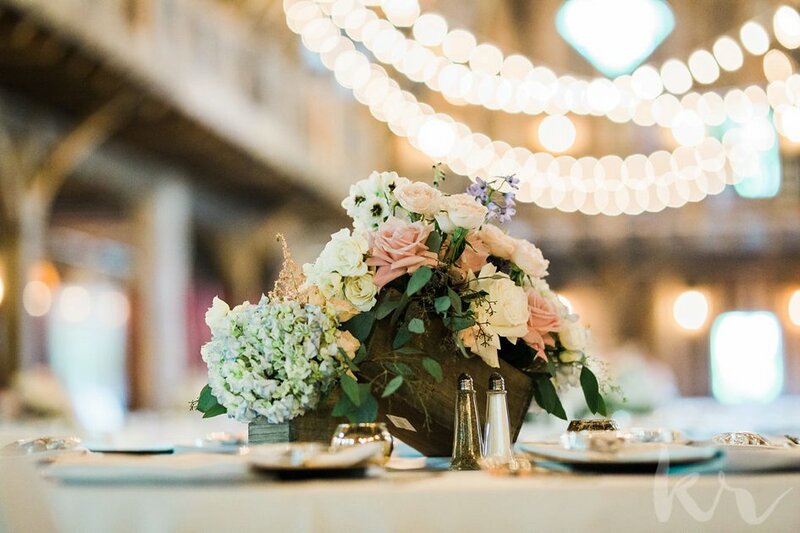 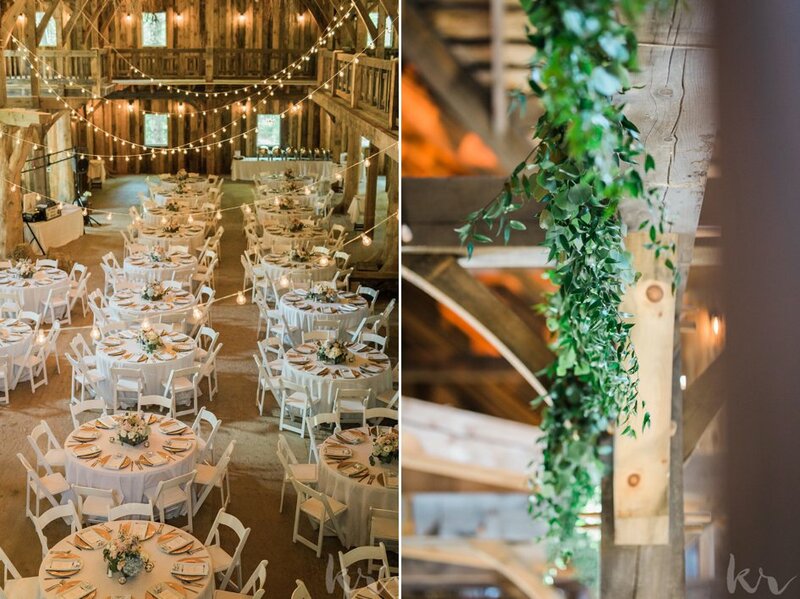 Guests gathered in the timber barn around linen-covered tables for dinner, dancing and to celebrate the new Mr. and Mrs. Elegantly draped string lights provided a warm glow as the couple celebrated their first evening as husband and wife.